for the Western Pennsylvania Spelling Bee in the Little Science Theater. Struck by Lightning 2006 April 7 ! Closed Until Building Damages Repaired. America's first publicly funded Carnegie Library !!! Pitz, Marylynne. "With Museum Lab, Children's Museum creates largest cultural campus for kids in the nation." Pittsburgh Post-Gazette 2019 April 4. KDKA-TV 2, Pittsburgh 2019 April 4. Morgenstern, Marsha. "Take the kids to a youth invasion." Museum Lab will also feature a climbing structure for older children, designed by artist MANTZALIN, where the library stacks once stood. It will be woven with a very heavy rope using a traditional bobbin lace technique. According to Schlageter, the shelves, along with glass floors that spanned the three-floor area where the stacks once stood, will be removed for the climbing structure. “Each of the floors in those areas were glass. It provided light to shine through at times in the 1890s when electricity wasn’t so prevalent,” Schlageter said. Rayworth, Melissa. "Meet the 5 remarkable women behind Museum Lab." "Educator-to-Educator Mentoring to Support Real-World Learning Redesign." Blog-Post. Education Week Magazine 2019 Feb. 28. Heyl, Eric. "Bank Of America Opening Financial Center In Wexford." Bank officials will mark the event with a grand opening that includes representatives from the Children's Museum of Pittsburgh, who will discuss Museum Lab, which was made possible by a grant from Bank of America. At Museum Lab, kids 10 and older can work with makers to create everything from furniture to apps, experiment with cutting-edge technology, collaborate on one-of-a-kind art installations and more. Museum Lab will open in April in the former Carnegie Free Library of Allegheny. Torrance, Luke. "A discovery at the Children's Museum after tearing out plaster." Pittsburgh Business Times 2019 Feb. 5. Architectural elements unveiled during renovation of the historic Carnegie Free Library of Allegheny building. Wimbley, Lacretia. "Historic archway found at Children's Museum Lab highlights 'thrilling' discovery." Pittsburgh Post-Gazette 2019 Feb. 5. Rayworth, Melissa. "Check out photos of the unexpected architectural treasures discovered at the new Museum Lab." "CFO of the Year winner: Christine Koebley with Children's Museum of Pittsburgh." Pittsburgh Business Times 2018 Nov. 7. ... museum, she has secured $2.3 million in new market tax credits for the construction of museumlab in the former Carnegie Free Library of Allegheny. Koscinski, Kiley and Megan Harris. "Well Into Expansion, Children’s Museum Of Pittsburgh Still Calls To Kids Of All Ages." Radio Program "The Confluence." WESA-FM 90.5, Pittsburgh 2018 Oct. 15. Carnegie Library in America, the Carnegie Free Library of Allegheny). "PHOTOS: Renderings of Children's Museum's new Museumlab." Pittsburgh Business Journal 2018 Oct. 8. The Children's Museum of Pittsburgh is renovating the Carnegie Free Library of Allegheny into a new learning space for children. Bauder, Bob. "Children's Museum of Pittsburgh $18.5 million expansion almost complete." TribLive.com: Tribune-Review, Pittsburgh 2018 Sept. 21. Werner said the project is being funded through foundation, corporate and individual donations, a $1 million state grant and tax credits. It includes interior restorations of the building that opened in 1890 in what was then Allegheny City. Workers uncovered and are restoring a Carnegie Library emblem found under carpeting and a vaulted ceiling and columns under a drop ceiling installed in the 1970s. Werner said plans include rebuilding a grand staircase and a skylight, both of which had been torn out. 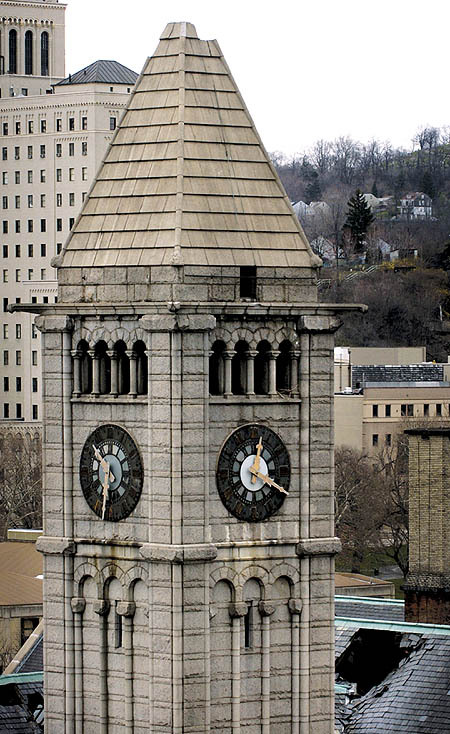 Pittsburgh City Councilwoman Darlene Harris, who represents most of the North Side, said she’s working to have the library’s signature clock and chimes that were struck by lightning repaired. Okonta, Danielle. "Museum Lab will be the largest cultural campus for children in the U.S. -- and it's in Pittsburgh." Pittsburgh Post-Gazette 2018 Sept. 21. Construction on Museum Lab, the innovative center for development and education launched by the Children’s Museum of Pittsburgh two years ago, should be completed by the end of the year, with an opening slated for April 2019. So far, $16.6 million has been raised toward a $18.5 million fundraising goal that would turn the former Carnegie Library Allegheny building into new learning space for children ages 8 and older, as well as to fund related initiatives. Okonta, Danielle. "Children’s Museum reopens new gift shop renovated by retrained coal, industrial workers." Pittsburgh Post-Gazette 2018 Sept. 11. The woodworking crew’s next project is a Children’s Museum expansion underway in the former Carnegie Free Library of Allegheny on the North Side. “Saw’s Edge is going to use the old oak 100-year-old bookshelves to create accent furniture, tables and benches,” says Ms. Fullenkamp. The library will be transformed into a museum lab. Construction is currently underway and will be completed in December or early January. Saw’s Edge will be building accent furniture in early 2019. Mander, Michael. "Children’s Museum of Pittsburgh to host permanent classrooms." Regarding rehabilitation of historic Carnegie Free Library of Allegheny, located on the North Side of Pittsburgh next-door to Pittsburgh's original Buhl Planetarium and Institute of Popular Science building. O'Toole, Bill. "A school inside a museum? Children’s Museum begins final phase of construction on museumlab." Bailey, Laurie. "Children's Museum plans museumlab." Pittsburgh Business Times 2018 May 16. Renovation of the Carnegie Free Library of Allegheny. Sebak, Rick. "The Time Harry Truman Got Pulled over on the Pa. Turnpike." Pittsburgh Magazine 2017 November (2017 Oct. 18). "HFF Announces $127.5M Financing for Nova Place and 106 Isabella in Pittsburgh." News Release. building are located just north of Nova Place (former Allegheny Center complex), in Allegheny Square. Blazina, Ed. "Work starts on bike lanes around Allegheny Circle on Pittsburgh's North Side." Pittsburgh Post-Gazette 2017 Sept. 12. The city’s long-term goal is to reconnect East and West Ohio streets, with the street running through the plaza at Nova Place and in front of the Children's Museum of Pittsburgh (including original Buhl Planetarium and Institute of Popular Science building) and the New Hazlett Theater (and the adjacent Carnegie Free Library of Allegheny building). The city already owns the rights of way for most of that project. Johns, Paul. "MOZARK: Carnegie Libraries spring up all around the United States." He began by funding libraries in the two locations he had grown up in: Dunfermline, Scotland, and the Allegheny/Pittsburgh area in Pennsylvania. The first of the Carnegie libraries was the one in Dunfermline and it opened in 1883. Nelson, Camilla. "Friday essay: why libraries can and must change." The predecessors of the New York Public Library, the Carnegie libraries of the 1880s, were not just book stacks but also community centres with public baths, bowling alleys, billiard rooms, and in at least one strange instance – at the Allegheny library in Pittsburgh – a rifle range in the basement. Paletta, Anthony. "Renewing Renewal in Pittsburgh." Weidenhof, Alex. "Conservators assess damage to portraits found at old Carnegie Library on North Side." Pittsburgh Post-Gazette 2017 July 31. The Carnegie Free Library of Allegheny, the first publicly-supported Carnegie Library in America which opened in 1890 in Andrew Carnegie's adopted hometown of Allegheny, Pennsylvania (now Pittsburgh's North Side), is being renovated by the Children's Museum of Pittsburgh (located next-door in Pittsburgh's original Buhl Planetarium and Institute of Popular Science building). "Renovations At Old Carnegie Library Uncover Lost Works Of Art." KDKA-TV 2, Pittsburgh 2017 July 25. Blazina, Ed. "City weighing options for 'moat road' around Allegheny Center." Free Library of Allegheny). The city already owns the rights of way for most of that project. ALSO SEE: "Brian O'Neill: Restoring sane lanes 'round old Allegheny Center." O'Neill, Brian. "Brian O'Neill: Restoring sane lanes 'round old Allegheny Center." Column: Brian O'Neill. Pittsburgh Post-Gazette 2016 Oct. 6. Includes possible re-connection of East and West Ohio Streets, which run in front of Pittsburgh's original Buhl Planetarium and Institute of Popular Science, the world's first Carnegie Hall, and America's first publicly-funded Carnegie Library, the Carnegie Free Library of Allegheny). ALSO SEE: "City weighing options for 'moat road' around Allegheny Center.". Councilwoman Harris said that the City Law Department had already confirmed to her that the historic Carnegie Free Library of Allegheny, located in Allegheny Center next to the historic Buhl Planetarium, could not be legally sold by the City. As with the historic Hazelwood Library, the historic Allegheny Library was abandoned by Carnegie Library in the last decade, in favor of newer, down-sized library branches. She said that the City Law Department is still conducting research, regarding whether the historic Hazelwood Library can legally be sold by the City. Smith, Peter. "Jehovah's Witnesses in news again at their North Side birthplace. Blog Post. Pittsburgh Post-Gazette 2015 March 12. Regarding the Jehovah's Witnesses which began with services at the world's first Carnegie Hall, adjacent to the Carnegie Free Library of Allegheny, now in Pittsburgh's Allegheny Square next to Pittsburgh's original Buhl Planetarium and Institute of Popular Science. Kirkland, Kevin. "Century Club: Arts and education supporter Ann Power Wardrop turns 100." Column: Century Club. Pittsburgh Post-Gazette 2015 March 3. As Life Trustee of The Carnegie Library of Pittsburgh, Ann Wardrop was instrumental in having "Labor," the Andrew Carnegie memorial to his mentor, Col. James Anderson, reconstructed in the late 1980s. Originally donated to Allegheny City, Pennsylvania in 1904 by Andrew Carnegie, the Daniel Chester French memorial, which includes the statue, "The Reading Blacksmith," was originally located adjacent to the original Carnegie Free Library of Allegheny building at the corner of East Ohio Street and Federal Street. The memorial was reconstructed directly across a pedestrian mall walkway (former Federal Street) from the main library entrance, on the east lawn of Pittsburgh's original Buhl Planetarium and Institute of Popular Science. Walsh, Glenn A. "Historic Buhl Planetarium Flag Pole Refurbished, Back-in-Use." Blog Post. The historic Buhl Planetarium Flag Pole is located across from the original Carnegie Free Library of Allegheny. Sciullo, Maria. "Pittsburgh showcased in 'Those Who Kill'." Pittsburgh Post-Gazette 2013 Dec. 7. The A&E Cable Television Channel series "Those Who Kill" shot in many Pittsburgh locations including the original Carnegie Free Library of Allegheny and the adjacent New Hazlett Theater (World's first Carnegie Hall !). The original library entrance to the Carnegie Free Library of Allegheny was used as the entrance to the Pittsburgh Police Station. Walsh, Glenn A. "Laserium: 40th Anniversary." Blog Post. 2013 November 19 marks the 40th anniversary of the musical concert set to laser lights known as Laserium, once seen in many planetaria worldwide, including Pittsburgh's original Buhl Planetarium and Institute of Popular Science (a.k.a. Buhl Science Center). As Laserium is considered the first on-going laser show that was not part of a special or one-time event, it is also thought that Laserium launched the international laser display industry. The original Buhl Planetarium building, today, is part of a complex used by the Children's Museum of Pittsburgh. The complex also includes the historic 1897 original main post office for the City of Allegheny (which merged with the City of Pittsburgh in 1907) and a modern "Nightlight" building which connects the two historic structures. The Children's Museum is now, also, considering reuse of America's first publicly-funded Carnegie Library building, next-door, which was abandoned by The Carnegie Library of Pittsburgh (also protested by this author) after lightning struck the clock tower in 2006 (even though the City completely repaired the damages to the building). Zlatos, Bill. "Pittsburgh's Buhl Foundation to focus efforts on North Side." Pittsburgh Tribune-Review 2013 Nov. 14.
money came from the North Side. historic building) with $1 million in help from Buhl. Rutkoski , Rex. "Footlocker holds Pittsburgh artist's sketches of WWII soldiers." Pittsburgh Post-Gazette 2013 Nov. 5. In the 1930s, Elizabeth Black was gaining a solid reputation as an artist, receiving recognition at Carrick and Peabody high schools, winning a scholarship to the city's Ad-Art Studio School, taking classes at Carnegie Tech and studying at the prestigious Art Students League of New York. In 1940, she was selected to paint 25 larger-than-life portraits of literary giants such as Henry Wadsworth Longfellow, Emily Dickinson, Henry David Thoreau and others that were permanently mounted at the Carnegie Library, North Side, until they disappeared during a late 1960s renovation. 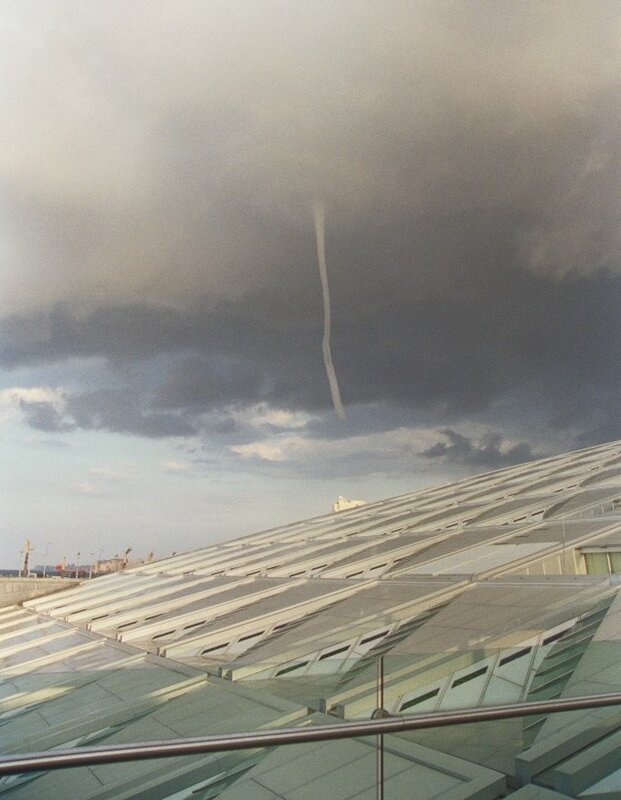 O'Hare, Michael. "Memories of such things make up a life." Leader Times, Kittanning PA 2013 Sept. 19. Point State Park and the streets throughout the center city. Walsh, Glenn A. "Carnegie Library Bldg. May Be Reused by Children's Museum." Blog Post. Regarding the possible reuse of the historic Carnegie Free Library of Allegheny building, America's first publicly-funded Carnegie Library, by the Children's Museum of Pittsburgh, as they reused the historic Buhl Planetarium and Institute of Popular Science building, next-door, in 2004. Shea, Kelsey. "Children’s Museum considers expansion into library building." The Northside Chronicle On-Line, Pittsburgh 2013 Aug. 8. Nelson Jones, Diana. "Children's Museum may expand into former library." Pittsburgh Post-Gazette 2013 August 3. The Children's Museum of Pittsburgh, which started in 1983 in the basement of the Old Allegheny Post Office, later occupied the entire post office building, and expanded into the original Buhl Planetarium and Institute of Popular Science in 2004, is now considering the possibility of offering programming in the building that formerly held the Allegheny Regional Branch of The Carnegie Library of Pittsburgh (the first publicly-funded Carnegie Library in America), in historic Allegheny Square on the Lower North Side of Pittsburgh. Walsh, Glenn A. "Buhl Community Park at Allegheny Square Opens." Blog Posting. and the original Carnegie Free Library of Allegheny, opens to the general public. Precise Times of First Subway Trains." Blog Posting. New North Side Subway Station is only three blocks from Pittsburgh's original Buhl Planetarium and Institute of Popular Science and Carnegie Free Library of Allegheny and Carnegie Hall, in Allegheny Square. Smydo, Joe. "North Side park could get new name." Pittsburgh Post-Gazette On-Line 2012 March 6. Pittsburgh's original Buhl Planetarium and Institute of Popular Science and Carnegie Free Library of Allegheny and Carnegie Hall sit on Allegheny Square. subway extension opens 2012 March 25. Nelson Jones, Diana. "South Side library to get a makeover." Blog. Pittsburgh Post-Gazette 2011 Jan. 11. Comments on Carnegie Library's abandonment of the historic Allegheny Regional Branch Library building on the Lower North Side, next to the original Buhl Planetarium. Nelson Jones, Diana. "Remaking Allegheny Center plaza about ready to begin." Pittsburgh Post-Gazette 2010 Sept. 27. More than $4 million for the $6 million project has been raised, according to the museum's development director, M.J. Meenen. Deputy director Chris Siefert said the project should go to bid before spring and be completed by mid-2012. Nelson Jones, Diana. "From bad '60s... to no '60s?" Blog. Pittsburgh Post-Gazette On-Line 2010 Sept. 24. Regarding plans to rehabilitate Allegheny Square Plaza. Miller, Eric. "Finding Allegheny: No Car Needed." On-Line Magazine. Zlatos, Bill. "North Siders laud Children's Museum plans." Pittsburgh Tribune-Review 2010 Sept 22. The museum has raised more than $4 million for the $6 million project (to rebuild Allegheny Square Park). Designed by Andrea "Andie" Cochran of San Francisco, the project will demolish the concrete, fill in the hole and plant 78 trees. Pittsburgh Post-Gazette 2010 Sept. 2. Nelson Jones, Diana. "Musicians to add notes to North Side tour sites." Pittsburgh Post-Gazette 2010 June 25. "At the New Hazlett, seven musicians -- vocalists and percussionists -- will present a piece inspired by the fact that the building shares space with what was Andrew Carnegie's second oldest library. The percussionists will be playing typewriters. "At the Children's Museum, three glockenspiels, singers and a bass guitar will provide music inspired by the science exhibits that once were at the Buhl Planetarium on the same site." Rosenblum, Charles. "Amidst gloomy news about libraries, the North Side's new Carnegie Library is a bright spot." Pittsburgh City Paper 2010 Feb. 24, 25. City Council Resolution for Construction of Riverview Park Community Center City of Pittsburgh Web Site 2010 Feb. 16. Pittsburgh City Council finally passed reeolution on 2010 Feb. 16. Opening of this community center may result in consolidation of North Side senior citizen centers and the closing of the North Side Senior Citizen Center currently operating in the lower level of the original Allegheny Regional Branch, Carnegie Library of Pittsburgh building. Hoover, Bob. "Nation's libraries get more use, less funding." Pittsburgh Post-Gazette 2010 Feb. 15. Second half of article talks about study regarding potential reuses for America's first publicly-funded Carnegie Library, the original Allegheny Regional Branch on the North Side, next-door to the original Buhl Planetarium. Santoni, Matthew. "Carnegie Library of Pittsburgh tries to keep legacy alive in Allegheny Depository." Pittsburgh Tribune-Review 2009 Oct. 13. Nelson Jones, Diana. "Grand opening today for new North Side library." Turnbull, Jessica. "Carnegie Library of Pittsburgh-Allegheny to open on Federal Street." Pittsburgh Tribune-Review 2009 Aug. 29. Nelson Jones, Diana. "Federal Street's stylin' (updated)." Blog: City Walkabout. Pittsburgh Post-Gazette On-Line 2008 Aug. 24. Boren, Jeremy. "North Side townhomes finally will be built." Pittsburgh Tribune-Review 2008 Aug. 13. Belko, Mark. "URA may back team for North Ave. work." * Lord, Rich. "Alcoa Foundation funds 3 local institutions." Pittsburgh Post-Gazette On-Line 2008 April 28. "A $400,000 grant to the Carnegie Library system will back children's areas in new North Side and Hill District branches." * "Plans for North Side library branch to be presented." * Walsh, Glenn A. "Lower North Side - Two Years with No Public Library Service Despite Repaired Library." Address. Pittsburgh City Council. 2008 April 24. "North Side townhouse construction to begin." Pittsburgh Post-Gazette 2008 April 12. Address. Board of Directors, Allegheny Regional Asset District. 2008 March 31. * "The Allegheny Library saga continues." Allegheny West Gazette Newsletter, Pittsburgh 2008 March. The Allegheny West Gazette is the official newsletter of the Allegheny West Civic Council, North Side, Pittsburgh. ** "City Council gives historic status to August Wilson home." Pittsburgh Post-Gazette 2008 Feb. 27. ** Lord, Rich. "Council OKs historic status for Wilson home." Pittsburgh Post-Gazette 2008 Feb. 21. ** "Playwright's home gets early OK as historic structure." Pittsburgh Tribune-Review 2008 Feb. 21. ** Lord, Rich. "Council tentatively OKs historic status for Wilson house." Pittsburgh Post-Gazette On-Line 2008 Feb. 20. ** "Pittsburgh council gives historic nod to August Wilson home." Pittsburgh Tribune-Review On-Line 2008 Feb. 20. ** Lord, Rich. "Council hit for Wilson home delay." Pittsburgh Post-Gazette 2008 Feb. 19. ** Boren, Jeremy. "Councilwoman regrets delay in Wilson home recognition." ** Boren, Jeremy. "Pittsburgh City Council holds hearing on August Wilson home." Pittsburgh Tribune-Review On-Line 2008 Feb. 18. ** Lord, Rich. "Family seeks probe of delay in Wilson house designation." Pittsburgh Post-Gazette 2008 Feb. 18. ** Lord, Rich. "Payne won't say if Wilson warnings were ignored." Pittsburgh Post-Gazette 2008 Feb. 5. ** Lord, Rich. "Intrigue deepens over playwright's home." Pittsburgh Post-Gazette 2008 Feb. 2. ** "August Wilson house a political football." Pittsburgh Post-Gazette 2008 Feb. 1. ** Lord, Rich. "Historic status for Wilson's boyhood home hits political snag." Pittsburgh Post-Gazette 2008 Jan. 30.
corner of Federal and Parkhurst Streets in Central Northside." Urban Redevelopment Authority of Pittsburgh 2008 Feb. 8.
funding sources used for site of proposed new North Side Carnegie Library. * Walsh, Glenn A. "Carnegie Library's Abandonment of Allegheny Regional Library." Address. Pittsburgh City Council. 2008 Jan.15. * Surma, John and Gerard, Leo. "Sunday Forum: The importance of libraries." During this meeting of City Council's Standing Committee on Housing, Economic Development & Promotion, Bill Number 2007-1944 was approved, allowing Carnegie Library to move out of the historic Allegheny Regional Branch into a new structure on the new property to be purchased from the Urban Redevelopment Authority. Later that morning, during the last legislative meeting of this session of City Council, the resolution received final approval. In both cases, the vote was 7 in favor, 1 opposed; City Councilwoman Darlene Harris (whose district the historic Allegheny Regional Branch is located within) was the opposing vote. FOLLOWING RECONVENED STANDING COMMITTEES MEETING. Tuesday, December 18, 2007 at 5:00 p.m. EST at the New Hazlett Theater in Carnegie Hall, adjacent to the Allegheny Regional Branch Library. NOTE: The Action Alert succeeded. The public hearing has been rescheduled for 5pm, Tuesday, December 18th at the New Hazlett Theater (it's part of the Allegheny Regional Library building in Allegheny Square, North Side). You will need to call (412) 255-2138 in advance to register to speak for 3 minutes. Allegheny Regional Branch of The Carnegie Library of Pittsburgh. Nelson Jones, Diana. "Long-delayed housing project expected to begin next spring." Pittsburgh Post-Gazette 2007 Nov. 4.
and lack of private funds to build proposed new North Side library. The orginal Wylie Avenue Branch Carnegie Library building (second neighborhood branch in the first neighborhood branch system built by Andrew Carnegie), built in 1899, was sold in the early 1980s and is now in use as a mosque. This article also briefly talks about plans for a new North Side library. Column: Who else will be booking to the North Side? Regarding Nov. 11 "groundbreaking" for new North Side library. Includes information regarding proposed new Carnegie Library branch. Branch Library by Carnegie Library of Pittsburgh. Opened in 1890 as world's first Carnegie Hall ! At URA Board Meeting Thursday, 2:00 p.m.
Letter opposing abandonment of original Allegheny Regional Branch Library. next-door to original Buhl Planetarium. Article briefly discusses upcoming renovation of Allegheny Regional Branch Library. Carnegie Library of Pittsburgh - Allegheny Regional Update. Damage to building a public safety concern. * 2006 July 13 - Port Authority Board of Directors approves "North Shore Connector" rapid transit extension project, to serve Pittsburgh's Lower North Side. weekly evening visiting hours on Fridays (until 10:00 p.m.). schedule in June of 1984.
the building was open to the general public, 1991 August 30. (to the existing show times of 2:00 and 7:00 p.m.). Center to Reassemble Historic Zeiss II Planetarium Projector. Inspired by Buhl Planetarium's Miniature Railroad and Village. Institute of Popular Science in Pittsburgh, Pa."
Evans and Sutherland to Buy Spitz, Inc.
with Three Mile Island-like cooling towers and brightly painted pipes inside. What goes on inside there? Bee champ takes national spotlight. But can this Jersey girl spell c-e-l-e-b-r-i-t-y? National bee gets the "Idol" treatment. A N.J. girl has placed higher each year. Family event sponsored by the Audubon Society of Western Pennsylvania. Interior secretary proposes listing polar bears as threatened species. to reach the South Pole for nearly 100 years. biggest ever dinosaur, according to scientists. current theories on how stars die a spectacular death. composition of the interior of Mars. Born Today 150 Years Ago! the go-ahead to move into its final design stage. AND PERMANENTLY, DAMAGE EYES !!! French Guiana to put two satellites in orbit. Meteoroids are smashing into the Moon more than expected. one of the alternatives given in Buhl Planetarium's "Star of Bethlehem"
sky show, shown in the original Theater of the Stars 1939-1990. Gore's film on Global Warming, "An Inconvenient Truth," for use in science classes. of each other in the same galaxy by the Swift telescope. Will Democrats Ride To Museums' Rescue? Time Travel? Attempt to send photon back in time! with Earth for more than a week. Griffith Observatory and Planetarium, Los Angeles. Yerkes sale with Astronomy Assistant Editor Jeremy McGovern. naked-eye, IF you are in a dark location. PROPER TRAINING AND FILTERING EQUIPMENT. the mirror of which was produced by L-3 Brashear in Pittsburgh. Regards impact of recent Hawaii earthquake on Observatory. Regarding largest volcanic eruption of 20th century. Just how cheap can rockets get? 40th anniversary of popular science-fiction television series. Carnegie Library, built by Andrew Carnegie in neighborhood of his youth. * Latest news on conversion of last hometown department store, Kaufmann's. construction of The Buhl Planetarium and Institute of Popular Science. Gutting of Buhl Planetarium facilities received priority over roof repair. appear as large as our Moon appears in the sky! New manned spacecraft to Moon called "Orion." laser-light concert) may help find missing Apollo video tapes. Machine from 80 B.C. used to map the motions of the sun, moon and planets. Binghamton museum and observatory in financial trouble. Discovered "Van Allen" radiation belts surrounding Earth, in 1958.
at the turn of the 20th Century, say scientists. Space probe reaches milestone while flying out of solar system. may be visible during Aug. 12 Perseid Meteor Shower peak. Pentagon explores low-cost older technology. Extreme Sports Olympics on the Moon? Museum Director used museum resources for political campaign? Can Cleveland residents see Canada across Lake Erie? Can't believe your eyes? Yes, that's Canada! European observers, on July 29, may see same Moon Galileo saw in 1609. Mercury Astronaut Gordon Cooper, to be launched into Space in Oct.
discovered by NASA's Cassini spacecraft. and it is the neighborhood where Andrew Carnegie grew-up. Celebrity replaces Astronomy at London Planetarium. CNN/AP: Astronaut to NASA: Can't fix it, duct it? electricity pioneer and inventor Nikola Tesla. project, to serve Pittsburgh's Lower North Side. Pluto-Bound, Student-Built Dust Detector Renamed "Venetia,"
Also see 150th anniversary of Mr. Tesla's birth. as the "Congressman James Grove Fulton Memorial Post Office Building". Congressman Fulton was ardent supporter of U.S. Space Program. publicly-funded Carnegie Library, and next-door to original Buhl Planetarium. Henry Buhl, Jr. Planetarium inside The Carnegie Science Center. Funding did not include restoration of historic Zeiss II Planetarium Projector. of the recent meteorite strike in Norway. Also see possible iron meteorite on Mars. comparable to the atomic bomb used on Hiroshima. Major League Baseball's All-Star Game in July. Will they reappear? Will winter kill the Mars rovers? a second winter on Mars. Mars-spacesuit prototype in the Badlands. Built with Dirigible station at top! Sighting of Brightest Supernova in Recorded History! their outdoor lights and turn on to astronomy this weekend. the University of Chicago hasn't sold the historic observatory. partnership to build a giant telescope. * 2006 April 5 - UniverseToday.com"
* 2006 April 4 - UniverseToday.com"
Voyage to the Mystery Moon--April 4 at 8:00 p.m.
to study Saturn and its enigmatic satellite, Titan. new class of comets, say astronomers. clocks should be reset to display one hour later than Standard Time. last time Daylight Saving Time begins on the first Sunday in April. Sunday in March and end on the first Sunday in November. when a meteor collided with Earth millions of years ago. of the Pleiades star cluster. Solar System in relation to Galactic Plane. The next lunar lander will be a giant leap ahead of the first. at NASA's Deep Space Network in Goldstone CA. Total Solar Eclipse 2006 with photographs. for Total Solar Eclipse in Eastern Hemisphere, March 29.
to Asteroids Vesta and Ceres. in Science Magazine of 2006 March 24.
see our "sister planet" in 2006.
as they are called, form from the merger of two white dwarfs. How many species inhabit the planet? Impacts on our planet could have sprayed life into space. Currently chair of the House Science Committee. Click Here to learn how you and your family can participate. second with the most precise measurements yet. math and science by pointing to the sky. Latest findings from Mars Express orbiter. First results from the NASA Stardust mission. by "controlled thermonuclear fusion reaction". and puts itself up for sale. anticipated to reach the Red Planet March 10.
caught a nearby supernova on the rise. Slow-growing bacteria survived Space Shuttle Columbia explosion. listen for signals from unique space experiment. Best time to see Planet Mercury in night sky. * 2006 Jan. 17 - 300th Birhday of Benjamin Franklin ! founding father of America ! NASA launches first probe to Pluto on Jan. 17.
may be visible to amateur astronomers with large telescopes. * "The Architecture of Literacy, Carnegie Libraries in the U.S."
* "How to Save Carnegie Libraries as Libraries"
* "Primary Impediments to Historic Preservation: EGO and MONEY !" Walsh, Glenn A. "RE: Speaking at an AAAP meeting?" Electronic Mail Message. Transmitted to AAAP Vice President Craig Lang 2010 June 14. Lang, Craig. "Speaking at an AAAP meeting?" Electronic Mail Message. Transmitted to Glenn A. Walsh 2010 June 12. 2006 December 12: Letter asking Pittsburgh City Council to start providing public notice, on regular bulletin board postings and on the City Council web site, of all future "Post-Agenda" sessions of City Council. 2006 May 15: Letter to Children's Museum Executive Director Jane Werner, from Friends of the Zeiss Project Director Glenn A. Walsh, regarding fragments, of Buhl Planetarium East Exterior Wall's former astronomical inscription from the Bible, laying on ground outside Hall of the Universe. (C) Copyright 2006, Glenn A. Walsh, All Rights Reserved. This Internet Web Page created 2006 April 14. Last modified : Saturday, 06-Apr-2019 03:16:22 EDT. You are visitor number , to this web page, since 2006 April 14.